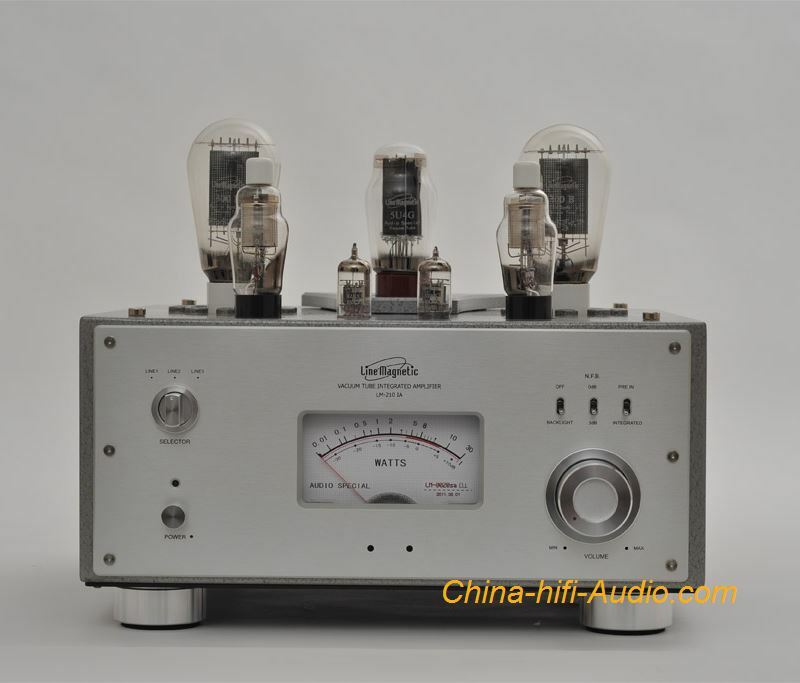 Line magnetic LM-210IA is an integrated Amplifier, it is a Power Amplifier too. (there is a group Pre-in input to connect a preamp). with 300B output power tubes. All tube Integrated with 12AX7 input tubes, 310A driver tubes and 300B output tubes. monitor the power output of each channel. pieces of Single-ended EI output transformers with wide bandwidth are applied. Standard with remote control for volume control and muting operation. Easily installed tube cover for better protection.